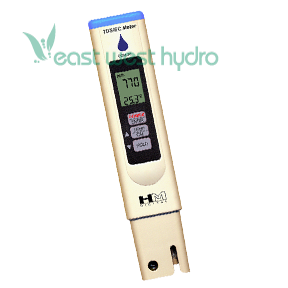 Measures electrical conductivity (EC), total dissolved solids (TDS) -- Exellent for nutrient testing! The COM-80 meter is calibrated with a 1413 micro-sec solution. 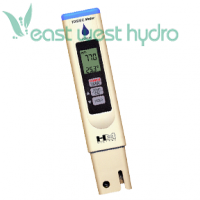 The meter can be recalibrated with digital calibration using the push buttons. Dimensions: 9.5in. × 5.5in. × 0.8in.